My mother probably thought I was mad when I asked for it but I was delighted with a present my parents bought me this Xmas. It is a replica of the Beagnoth Seax which is in the British Museum. I sometimes do talks at schools and Historical Societies on Life in AD 600 and use many such artefacts to illustrate points. In the case of the Beagnoth Seax I can show my audience some of the evidence for how we know the Anglo-Saxons used the Germanic-Norse style runic alphabet. scrolled in the hilt, the woven snake-blade. there were rune-markings correctly incised. Winning-runes learn,if thou longest to win,And the runes on thy sword-hilt write;Some on the furrow,and some on the flat,And twice shalt thou call on Tyr. What this is saying is to write the runes on the blade and in particular to use the Tyr rune. 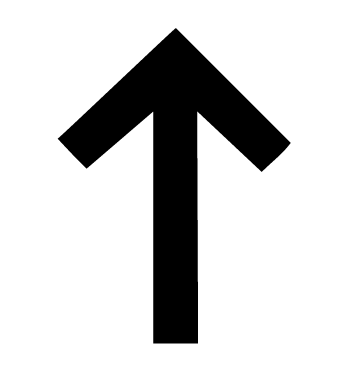 Tyr is the one handed god of Warriors and courage. The great thing about being able to share with an audience a physical object like a blade is to show that our ancestors did this kind of thing in real life. 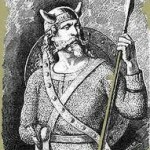 I recently wrote an article about the Anglo-Saxon Gods of Old England – those that our ancestorsÂ worshippedÂ before England became Christian. Just as Christianity is linked to the powerful symbol of the Cross and Judaism to that of the Star of David or the Menora, these gods had their own symbols that would be used on pottery, weapons and on pendants worn by the faithful. Here are some of the main Saxon gods and their symbols. Woden isÂ theÂ chief god ofÂ theÂ Anglo-Norse Pantheon. He is seen as being often a grumpy old man, or a warrior and sometimes a shadowy cloaked figure sneaking around watching men. He was a god of life and death, of of war. In Saxon and in Norse mythology, Woden/Odin was the highest ranking god and the leader of the Wild Hunt. He was often imagined galloping across the sky Â in a chariot pulled by white horses. It is thought that he is the original inspiration for Santa Claus.Â There are a Â number of symbolsÂ associatedÂ with him. 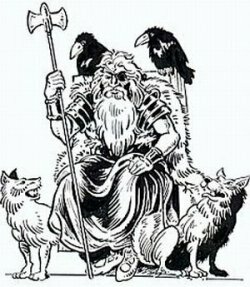 Both the Raven and the Wolf are animals linked to Woden. 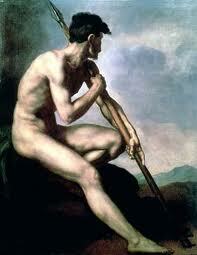 He is often depicted with a spear. This is another symbol linked to Woden. It is not Â a cross but is meant to be a wheel representing theÂ circleÂ of life and death over which woden held power. This symbol might well be on pendants, clothing and weapons. 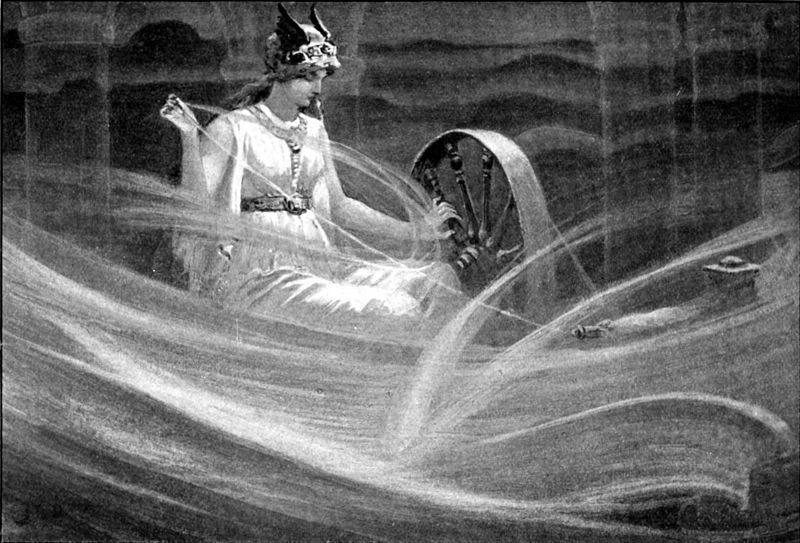 Frige was the wife of Woden and so queen of the gods. She was the goddess of Marriage, Child-birth, the Home and the Harvest. 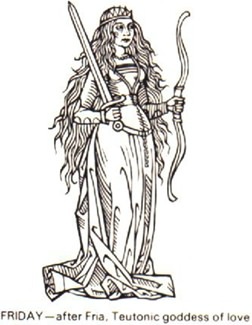 The stork is associated with her as is the spinning wheel. The constellation ‘Orion’s Belt’ was called ‘Frige’s Distaff’. Friday is named after her. Her Festival was harvest time. 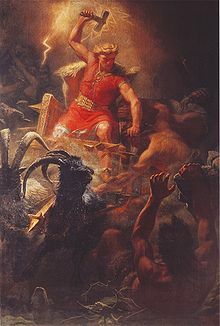 Thunor (Thor) is famously see as a hammer-wielding god with power over thunder and lightning Â as well as storms. He also has a role as the protector of mankind. Saxons also believed he had a gentler side involving healing, and fertility. 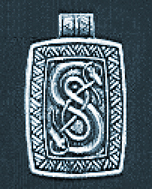 The most famous Â symbol of Thunor ( often worn around the neck) is the hammer symbol. 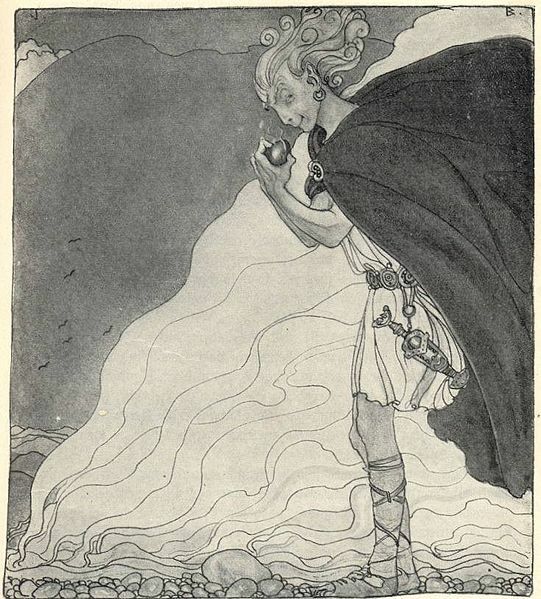 Ingui- Freya (Norse Freya) was the male God of Fertility. His symbol was the boar. 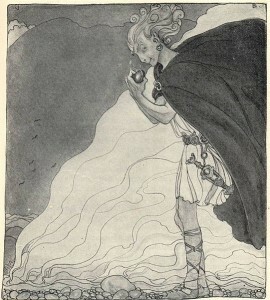 Freo, brother of Ingui-Freya was the Saxon Love goddess. Her sacred animals are like her brother the boarÂ butÂ alsoÂ Â the cat. Cats pulled her chariot, and she sometimes rode a boar. She had a magic cloak of falcon feathers. 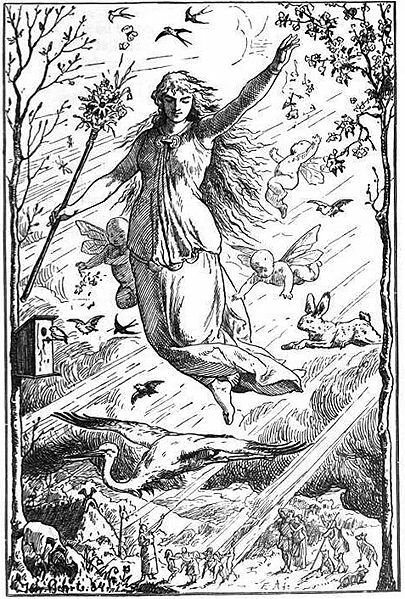 Eostre Â is a fairly obscure goddess of which we know far less than the others. Â She seems to be a Â goddess of purity, youth, beauty and of rebirth. Her festival became the later Christian Easter and the rabbit was the sacred animal to Eostre, and a Â symbol of fertility. The egg also symbolised fertility and rebirth of spring. The whiteness of the egg and the rabbit also indicated purity. Cakes or buns (later the hot cross buns) may even date to her festival and indeed the Cross MIGHT be the sun wheel (which isÂ theÂ same as Woden’s symbol) representing the turning ofÂ theÂ year and the coming of light. Loki is a bit of a puzzle. 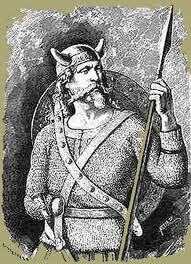 He is strongly mentioned in Norse Mythology BUT not much in Anglo-Saxon literature. So was he part of Saxon mythology? Probably he was because he is mentioned in SOME stories for example Beowulf. Many other Saxon gods are NOT mentioned much but enough echoes in tradition and symbology are about to suggest they were worshipped. Loki isÂ the God of Cunning and Deceit. Later, in theÂ ChristianÂ era he became associated with the idea of Â the Devil. Loki is the trickster god. He manipulates and plots. BUT he is also the catalyst that makes things happen and moves things forward. It has been suggsted that the snake might be associated with him – interesting that it is also the form that Satan took in the Garden of Eden. Another example of howÂ mythologiesÂ andÂ religionsÂ borrow and share elements. 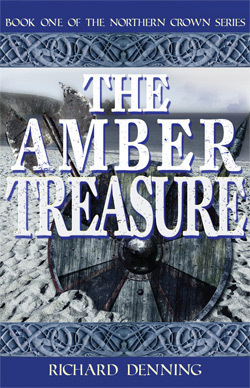 In my Dark Ages Historical fiction,Â The Amber Treasure and its sequel, Child of Loki theseÂ beliefsÂ and the new Christian ones appear and have influences on the characters and their world. All warriors must be freemen. The right to bear arms was central to the status of a freeman in the way that one aspect of slavery was that they were banned from carrying weapons. In battle, older veterans stood at the rear â€“ trying to bolster the men, the youths were in the middle whilst the seasoned warriors stood at the front. The kings gave out gifts to reward his followers and maintain their loyalty. Leaders might hold special gift days. Maybe these were celebrated on days linked to his to his predecessor’s triumphs to remind his followers of his inheritance. Followers would promise duty and loyalty and leaders would give gifts: weapons, armour, rings, drinking vessels or land. The value of an object was much more than just wealth: there would be sentimental value. The history of the object was critical i.e. who owned it before, when and for what was it used. This was very symbolic and carried out in a defined manner. The leader would hold feasts and provide ale and mead. The followers would drink from horns, goblets and beakers. Warriors would stand up individually and would be greeted by the leader. Then their valour and deeds would be celebrated. The warriors would boast (Beot). This would involved committing themselves to perform a deed. This might be promising to serve their lord, never flinch in battle, slay a foe or die in attempt etc. They NEVER promised success – that was considered up to fate. In the case of perceived insult or loss of honour, a challenge to single combat could be refused but would lead to loss of face and public ridicule. The Anglo – Saxons had a item called a scorn pole which could be put up outside their house. They could expect to be shamed and excluded from society. Einvigi: single combat â€“ this was a less formal duel probably just outside a hall. HolmgangiÂ “going to an island”. One method was to go to secluded spot. Often this was a ritual site used many times in the past.Often they would peg out area of ground to fight inside using hazel sticks. These duels would continue until the death of one or their incapacity. The combatants would take alternate strokes â€“ which they could attempt to deflect with their sword or shield. The sword was a potent symbol to the Anglo Saxons. A promise made on a sword was taken very seriously. Swearing of oaths was often done on a bare blade. The family sword was put in hands of new born sons to show their inheritance and by so doing, the luck of the family was passed on. 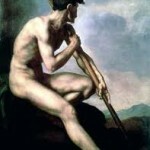 The marriage oath might be made in front of naked sword. Warriors would carry the motif of a god or an associated beast on their equipment. This is particularly so in the case of Kings and leaders and is mentioned in poems. 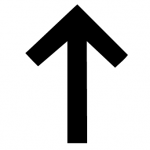 Spear: Odin â€“ Tiw. He was the god worshipped by leaders. Hammer: Thor. He was the god of the rank and file.